It’s winter solstice, the shortest day of the year in the Northern Hemisphere. 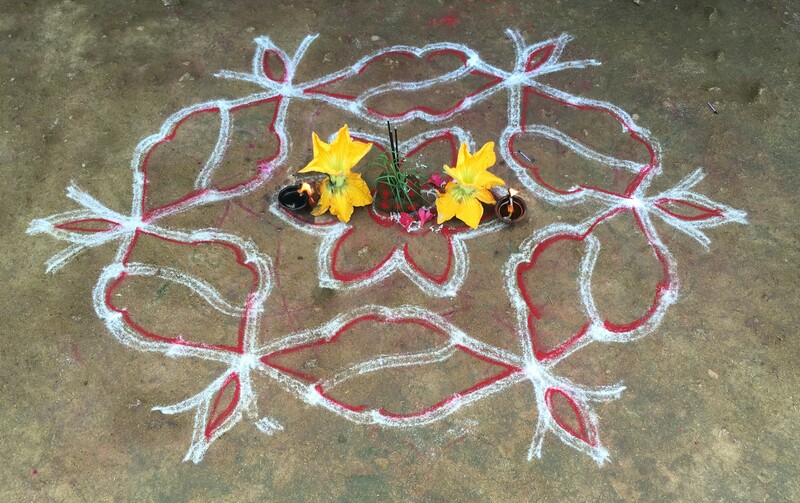 Although the days are not so short where I am in South India, and it does not feel anything like a Maine or London winter, it’s still an optimal moment to go inside oneself, take some extra time for meditation and self practice, and reflect on the last year, the last rotation around the sun. How are you coming full circle this year? How are you attending to self-care during the busy holiday season? Are you making time for your yoga practice or adjusting it to the seasonal shifts? Take a little time to check in with yourself about these things this week; be compassionate with yourself if you’re not where you want to be in terms of your yoga or self-care practices; and think about the shifts you’d like to make in your next rotation around the sun. Maybe it’s a as simple as doing a few sun salutations every day and expressing more gratitude toward the sources of light in your life. For me, the year ends where it began – at Ashok Tree, the ashram where I’ve done my yoga training in Tamil Nadu, India, and where I hosted my first retreat this autumn. It feels so nourishing to be back at my yoga home, diving into my self-practice and teaching practice, and planning where I’ll take them in the next year. I am flooded with feelings of gratitude and well-being, immersed in this peaceful yoga paradise. Beyond the blue skies and glorious weather, I feel immense gratitude for all of the gifts, the lovely students and amazing experiences that yoga has brought to me this year. Reflecting on the year past, I set my intentions and solidify my schedule for the next . Although I cannot yet share all of my exciting teaching plans for the next year (watch this space!! 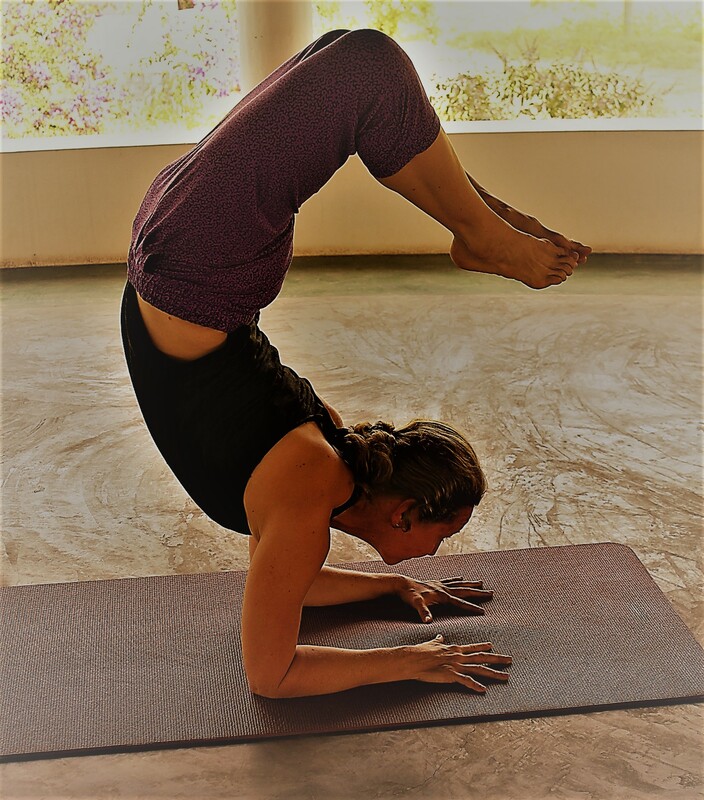 ), I can confirm that I will be offering another retreat here in Tamil Nadu, for I want to share this brilliant yoga sanctuary with more and more lovely souls. Additionally, for anybody who might be in South India in January/February (or has a hankering to follow through on a New Years resolution or just escape the depths of winter in the north), I’ll be teaching the yoga component of the Ayurvedic Cooking and self-care course at Ashok Tree (27 Jan. -5 Feb.), which I can highly recommend. The kitchen here is renowned for their fabulous sattvic fare, and the ayurvedic treatments and daily yoga sessions on top of the cooking and ayurveda classes makes for a truly unforgettable and wonderfully educational experience. There are still a few spots remaining, so book soon if you’re interested, or contact me for more information. Wherever you are geographically, physically, emotionally, mentally, spiritually, I wish you all the best in these last dark days of the year and beyond. May everything come full circle for you and may I see your beautiful face on the mat soon!